Russia said Saturday it would expel 23 British diplomats and close a British consulate following London’s “provocative” measures over the poisoning of a double agent that has triggered a toxic war of words. And it also said it would halt the activities of the British Council in Russia in a tough series of retaliatory measures announced after summoning British ambassador Laurie Bristow. 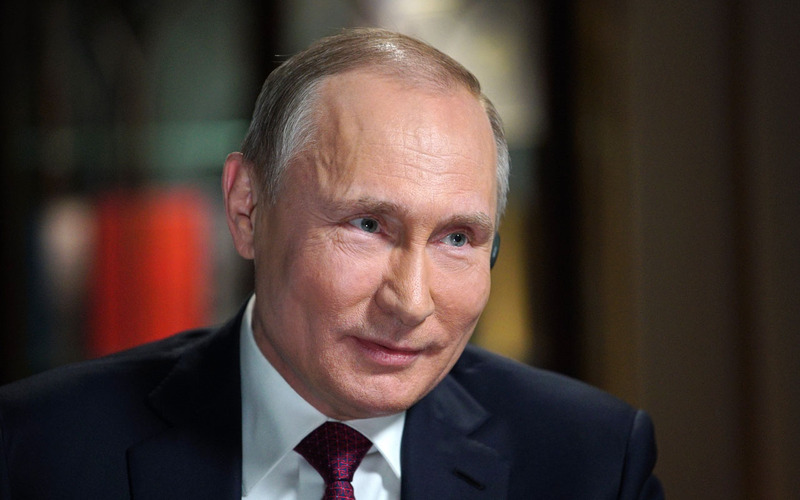 The Russian response was announced on the eve of a presidential election which is expected to hand Vladimir Putin a fourth term in the Kremlin, but which comes as the country appears increasingly isolated. Britain said it had “anticipated a response of this kind” and that its National Security Council would meet early next week to consider its “next steps”. The crisis erupted after Sergei Skripal and his daughter Yulia were exposed to a Soviet-designed nerve agent on March 4 in the English city of Salisbury, leaving them in critical condition. London has blamed Moscow and on Friday, even directly implicated Putin in the attack, prompting the Kremlin’s fury. “Twenty three diplomatic staff at the British embassy in Moscow are declared persona non grata and to be expelled within a week,” a foreign ministry statement said. It said this was a response to Britain’s “provocative actions” and “baseless accusations over the incident in Salisbury on March 4”. Russia also said that it was closing Britain’s consulate in the northwestern city of Saint Petersburg, citing a “disparity” in the number of diplomatic missions held by the two countries. And it said it had halted the activities of the British Council, Britain’s international organisation for cultural relations and educational opportunities. “The measures are more harsh, but the British deserved them. And I don’t rule out that something else could follow,” first deputy head of the Russian Senate’s foreign affairs committee Vladimir Dzhabarov told Interfax news agency. Earlier this week, British Prime Minister Theresa May announced the expulsion of 23 Russian diplomats and suspension of high-level contacts over the nerve agent attack. And she also warned more measures could follow, noting that the US-led NATO alliance and the UN Security Council had discussed the attack. In a similar move, Russia closed the British Council’s regional offices in 2008 after relations nosedived over the poisoning of former Russian agent Alexander Litvinenko. The Russian dissident died of Polonium radiation poisoning in London in 2006 in an attack that Britain also blamed on Russia. Skripal had taken his daughter, who was on a visit from Moscow, out for lunch in Salisbury before they both collapsed on a bench. Russia insists it had no motive to target Skripal with what Britain says was a highly-potent Soviet-designed nerve agent called Novichok, in the first such attack in Europe since World War II. On Friday, Kremlin spokesman Dmitry Peskov said statements by British Foreign Secretary Boris Johnson tying Putin to the attack were “shocking and unforgivable”. Western leaders have strongly backed Britain’s response. EU leaders are to discuss the incident at a Brussels summit next week and it is also on the agenda for talks on Monday between Johnson, his EU counterparts and NATO Secretary General Jens Stoltenberg. Following the Salisbury incident, the British government has also pledged to re-examine 14 deaths on UK soil following a report that they could have been carried out by Moscow or the Russian mafia. The BBC on Saturday said the police had made contact with Russians living in Britain to discuss their safety. On Friday, police said they were treating the March 12 death of exiled businessman Nikolai Glushkov as murder after a post-mortem found he died from “compression to the neck”. The murder is not believed to be linked to the attack on Skripal and his daughter. Russia has also said it is opening a murder probe after Glushkov was found dead at his London home. Glushkov was an associate of the late Kremlin opponent Boris Berezovsky, a one-time Putin supporter who then turned against him. Berezovsky was found hanged in a bathroom at his home outside London in 2013.